Be sure that your child is getting enough nutrition even if they are a little fussy with expert tips from me, a nutritionist, dietitian, and grand-mum. With this=that child-size and the tips @ foodtalk, you will become more confident about what your child's needs are and that you are serving the 'right mix. You will be sure that your child is getting enough nutrition even if they are a little fussy. I deliver nifty solutions and tips that make it easier for you to feed your child well. Check out the kids' food, nutrition and healthy eating topics. This section is growing just like your child! hungry for more tips and advice you can see? 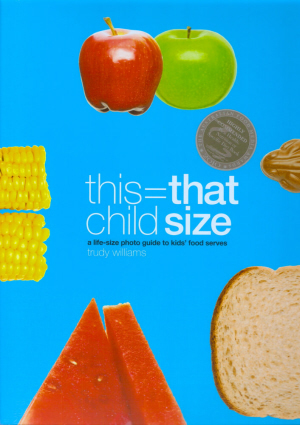 Grab yourself a copy of 'this=that child size' to take the worry out of feeding your child. You will look at food and nutrition in a totally fresh new way. You will stop worrying about whether your child is eating well. "this=that child size" helps focus your child's eating and nutrition in the kinder, prep years and primary school years.